Promoting the hobby of resin model building. Now celebrating our 13th anniversary! Congratulations to all IRMA Members! "Yes, we DID build this! Our capital, our risk, our success!" IRMA does NOT release an inferior product! Special Announcement: If you are an IRMA Member and have not received the International Resin Modellers Association - IRMA Newsletter in the last two months, it may be because your email server is rejecting it or your email address is outdated or incorrect. So please add info@internationalresinmodellers and zanenobbs@internationalresinmodellers to your email and/or send us your current and correct email address so you won't miss out on anything! This announcement is for subscribing IRMA Members only. The IRMA Newsletter﻿ comes with an IRMA subscription. IRMA will no longer be publishing our production list after IRMA Kit No.10 NACA-Langley-Jacobs-Jeep until each kit is released. There have been too many poachers that manufacture over-priced, junk kits in an effort to get them to the market first.﻿ IRMA Members will receive a preview of each kit in the IRMA Newsletter, everyone else will wait until the kits are released. IRMA ﻿Members US $160 + shipping; non-members US $190 + shipping. IRMA Kit No. 8 Avro Canada C-102 Jetliner﻿ is released! Below are our holiday wishes for the upcoming season. Yes, it may be too early or too late, but it takes so long to get all the letters, fonts, colors and spellings correct, we decided to just celebrate the sentiments all year long! We at IRMA wish to extend a heartfelt HAPPY 102nd BIRTHDAY! to Dr. James "Jim" Floyd, Chief Designer at AVRO Canada of the C102 Jetliner, CF100 Canuck and CF105 Arrow. 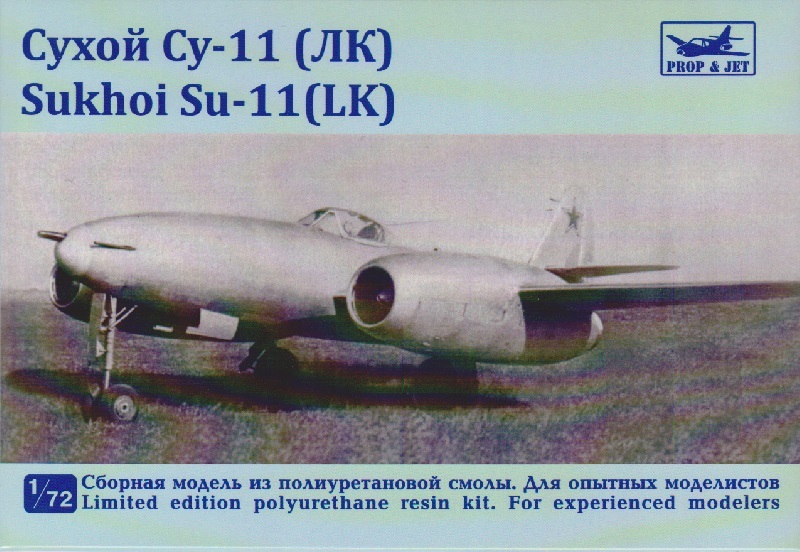 Our good friend Musa Zekoreev at PROP & JET has just released the Sukhoi Su-11 LK in 1/72! You can find it on the Reviews Page 7 to order. It is yet another EXCELLENT kit on par with their past ones. Illustration provided by Prop & Jet. As part of the release of IRMA Kit No. 8 Avro Canada C-102 Jetliner, IRMA has been assisted by the Canadian Air and Space Museum to celebrate the 100th birthday of the Jetliner designer, Dr. James "Jim" Floyd in October 2014! The International Resin Modellers Association©SM®TM, a VeriSign approved organization, is currently open to investment opportunities in the form of sponsorships, angel investors, venture capital, and/or individual investors, as well as contributions, donations, benefactors, and/or gifts of any type. If this looks of interest to you or your organization, please let us know. We appreciate your inqueries. We can be reached at: zanenobbs@internationalresinmodellers.com. Our PayPal IRMA account is: info@internationalresinmodellers.com. We welcome your participation as we expand operations to keep up with global demand for our unique & unusual line of kits. An apology to IRMA Members, site visitors, potential clients and customers for the lack of formatting on some pages. Our web host is Site Solutions from Yahoo! Small Business who are still claiming "system maintenance" along with "code updates" for this mess. We at IRMA are doing our best to press on in spite of this incompetence by Yahoo!. When we can find a better host, we will be migrating as soon as possible. Don't worry, Yahoo! is still invoicing us on a regular basis. Memorial to Dr. Jesse Marcel, Jr.
As you may have heard, Jesse Marcel, Jr. left this world on Sunday 25 August 2013. Dr. Marcel is the son of Major Jesse Marcel, Sr. who was involved in the Roswell vehicle crash of 1947, when Jesse Jr. was only 11 years of age. Dr. Marcel saw his father forced to recant what was originally found at the site and comply with the weather balloon story. Dr. Marcel was also one of the very few people on Earth that had the privilege to actually see and touch the materials from the crash site including the metal that returned to its original shape and the strange characters from the craft itself. It was my extreme privilege and honor to receive a telephone call from Dr. Marcel in 1994 while I was working at the United Nations. I had advised friends of Dr. Marcel of my work in various languages (English, French, German, Japanese and Russian with studies in Arabic, Chinese, Hebrew, Hindi, Thai and ancient Babylonian, Egyptian and Greek) and that it would be interesting to investigate if the characters on the alien craft might be decipherable as a possible ancestor or influence to human linguistics in written form. To my surprise Dr. Marcel called to share his experience and knowlege on the matter! He was very soft spoken, dignified, respectful, humble and kind. I cannot say that I knew Dr. Marcel outside of the telephone call and the research on the Roswell alien characters has been inconclusive so far, but that he took the time out of is very busy schedule to respond to my inquiry was, for me at least, a very wonderful experience. 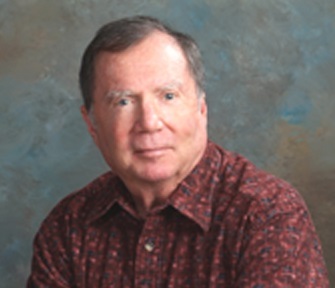 Dr. Marcel was a surgeon in the US Air Force and returned to duty at the age of 60. He was a Patriot in every sense of the word and served his country well. It is with deep sadness that we at IRMA have learned of the death of Michiels Emile of VAMI Models from Belgium on Thursday 28 March 2013. When it was difficult or impossible to find a kit, Michiels could locate it. Always the gentleman in business and in life, we will miss him very much. 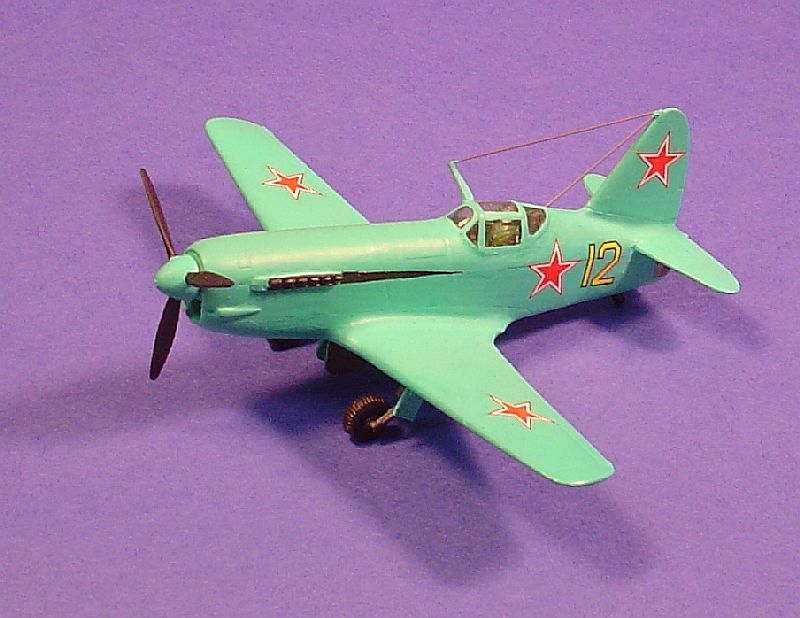 These wonderfully detailed and exacting kits come directly from Russia and are crafted with greatest care by PROP & JET with detail comparable to plastic injection kits! 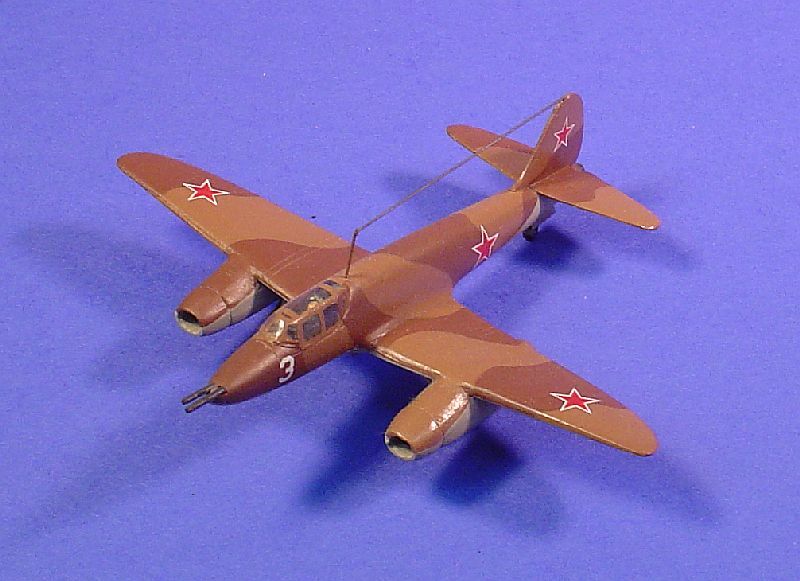 Don't miss out on these rare and very important Soviet and other aircraft to fill the missing gaps in your collection! See Reviews Page 7: PROP & JET for details! US $85 + shipping for IRMA Members and $99 + shipping for non-members. Please contact us at: info@internationalresinmodellers for details and shipping. IRMA Kit No. 4 Varga RMI-1 X/H is completed! Please order to be sure you get one! This is a small run for a larger aircraft. See Articles 13: Varga RMI-1 X/H and Articles 14: Building IRMA Kit No. 4 Varga RIM-1 X/H! We have recently added descriptions to our Resin Manufacturers pages. We hope this will make it easier for you to locate those kit makers that have what you are looking for. We will be migrating the website to a better and more organized layout later this year. Please bear with us until then. To place an order please email us to make sure the kits are in stock. If you have missed a kit, don't worry! When enough orders are received we can always do another run. Once the order is confirmed please send payment to PayPal account: info@internationalresinmodellers.com. If in stock, we can usually post the orders in 24 hours via USPS Priority Mail or other means if specified. IRMA Kit No.5, Heliconair HC-I, II Convertiplano of Brazil in 1/72, one of the world's first designed convertiplanes is now released! This kitis as designed with the original intended(HC-Ia) Armstrong- Siddeley Double-Mambagas-turbine engine with options for the (HC-Ib) Wright R-3350-DA3 radial piston-engine and (HC-II) General Electric GE T-58 gas-turbines (4x -two on each lift-wing). Boxart by Zane R Nobbs of the International Resin Modellers Association. Copyright 2011. SPECIAL ANNOUNCEMENT: IRMA Kit No. 3 is now released! The Coanda 1910 in 1/72! Reserve or order now because these are going fast! 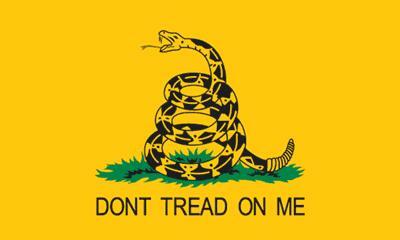 See New Releases and Articles 11 pages for details. New Box Art:With an emphasis onthe technologyfor each kitthe International Resin Modellers AssociationSMTM - IRMA KitsSMTMbox art will contain a photo orpicture of the subject with a portrait of the designer orteam memberwho had amajor influence on the project. IRMASMTM is now offering IRMA Corporate ServicesSMTM for business entities. Please see the new IRMA Corporate ServicesSMTM page for details. IRMASMTM is currently working on our next kit(s). At the moment the Coanda 1910 master isnear completionandthe technical information has arrivedfrom Brazil for the CTA Heliconair HC-I and HC-II Convertiplano thanks to Ms. Ferraz and Ms. Leite of the Comando-Geral de Tecnologia Aerospacial (Brazilian Air and Space Agency). Both will be in 1/72. Boxart by Zane R Nobbs of the International Resin Modellers Association. Copyright 2010. SPECIAL ANNOUNCEMENT:IRMA Kit No. 2 is released! This is the Shenyang JJ-1, the first indigenous jet aircraft of the People's Republic of China. The kit is all resin with a vacuformed canopy. Thisis IRMA's second joint project with Sharkit. If you are interested please let us know now to reserve yours. IRMA Kit No.2 Shenyang JJ-1 is SOLD OUT!!! Unpaid orders are SOLD OUT!!! We are possibly scheduling a second run forearly 2011 if there are enough requests. Please make your reservation now if interested. Paid orders for IRMA Kit No. 2 Shenyang JJ-1 have all beenshipped! Look for "Building the Shenyang JJ-1" in the Articles 9 page! We can do another run for the IRMA Kit No.1 Gloster CXP-1001 with enough requests! See "Building a Gloster CXP-1001" on the Articles 2 page! Box art by RenaudMangallon of Sharkit and Zane R Nobbs of the International Resin Modellers Association. Copyright 2009. Just go to the ContactUs page and leave your name, email and/or phone number,shipping addressand how many kits you would like to order. Don't miss this kit! You can also save money and be the first to receive newsabout the next kits by joining IRMA! * For details on the Shenyang JJ-1 please go to the Articles 6 page "The -503 Hong Zhuan "Red Special" or -1 Jian Jiao "Fighter Trainer" also know as the Shenyang JJ-1." *Discounts are only available through direct orderswith memberships in the International Resin Modellers Association (IRMA). We wish to extend a "Thank You!" to Monsieurs Andr J. L. Roy and Marc Santini of France in locating a Dujin F+W N-20.1 Glider Arbalet (DUJ72037). We welcome them to IRMA with a 1-year free membership. Jean Pierre Dujin of Dujin kits has passed on. Please see Articles 7 for his tribute. The International Resin Modeller's Association is all about promoting resin model building for its members and the public. Here members can exchange information, find answers to questions, learn about resources and manufacturers and study new techniques in resin modeling. In the coming weeks there will be photos of completed models (mostly aviation as that is the majority of resin models), sources for manufacturers of kits, in-progress pics and a question and answer forum with tips. We are also constructing a blog page and expanding the Resin Manufacturers pages along with Members Pages and Reviews Pages. In addition IRMA members can also post to the Trades & Exchanges page and have desired kits listed on the Wish List! page. We are having an effect on the industry! Of the 100 kits currently listed on the Wish List! page, 25 are currently in production with 18 more in progress or planned within the year by resin kit manufacturers! And IRMA will make the rest! We look forward to working with you for all of your resin related issues. This is the OMEGA Models Mikoyan-Gurevich MiG-13 in Soviet Navy colors. A very nice, clean resin kit. 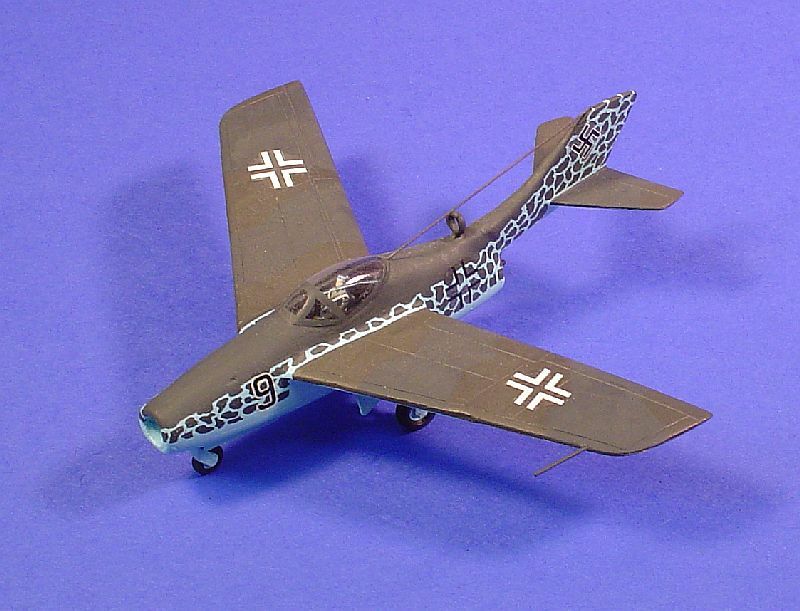 The Unicraft Models Focke-Wulf FW.P.V./3 in 1/72 is the only model of this very unique jet. This particular kit is not an easy one. It required the interior to be built from scratch including the engine. Definitely not a beginners model. The FW.P.V./3 was the third version of the Ta-183 Huckebein. The tail was redesigned to avoid "flutter" from a T-tail. Dr. Tank would build his vision later in Argentina as the I.Ae.33 Pulqui II in 1950. The A+V Models 1/72 Tichonrawow 302 in early war Soviet earth tones is well detailed and very clean kit with metal details. The second IRMA kit is released! Please see the Updates!, New Releases and Articles 6 pages for details. Be sure to reserve one now as this will be a smaller run and sold out quickly. Price and order details are on the New Releases page. Our first IRMA kit is out! Please see the Updates!, New Releases and Articles 2 & 5 pages for details. We hope to release many, many more! 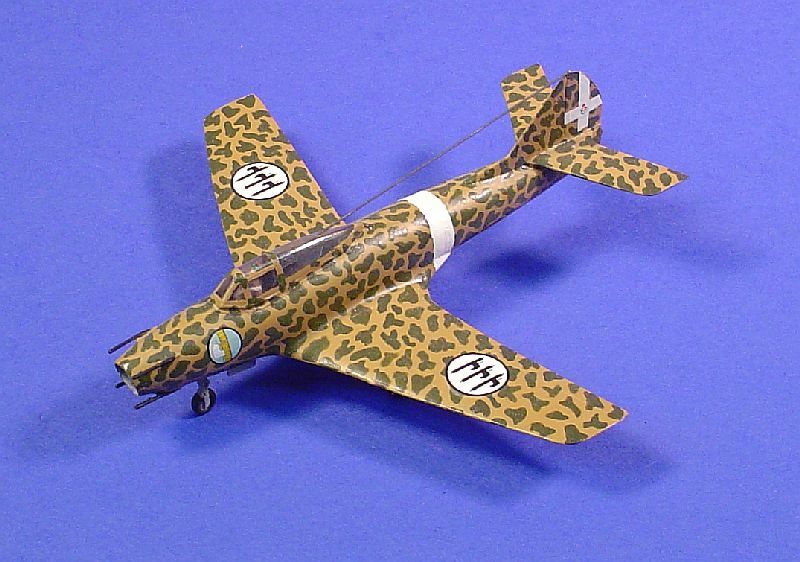 Here is the IRMA kit of the Gloster CXP-1001 in 1/72. Although the full mock-up was completed and component parts made, the program was canceled by the United Kingdom due to the deteriorating situation of the Republic of China. This is the first in a series of at least 12 never-before-produced kits from IRMA. Although not an easy kit, the end result is a significant aircraft for your collection, a great conversation piece and a very rare kit as only 20 were made. We want to thank our members because this is one of the results of your memberships at work, along with maintaining this site and promoting our hobby on a global scale. This is an RS Models 1/72 Reggiane Re-2007. Finished in Regina Aeronautica colors. A more realistic Aeronautica Nazionale Repubblicana version is on the way. This kit is well researched and well done for details. 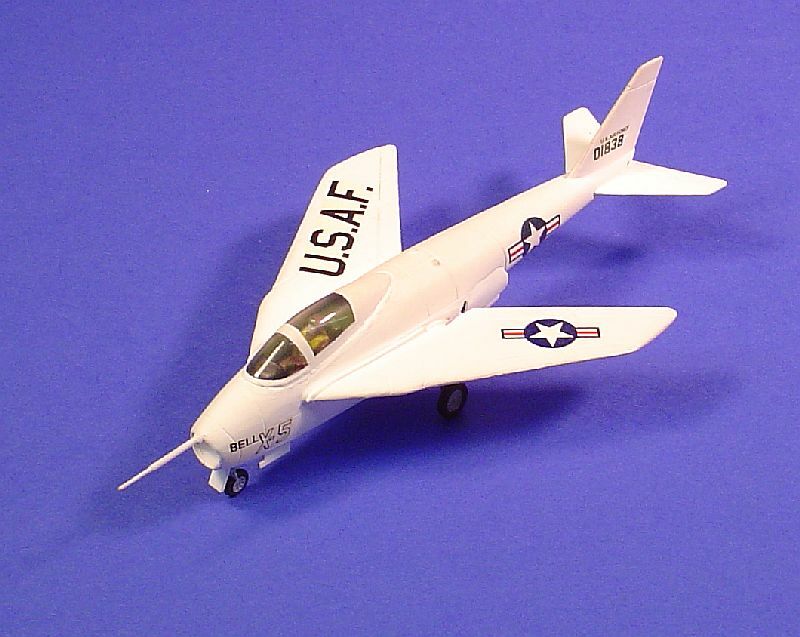 This Bell X-5 in 1/72 was put out by Project-X in England and was later produced by WHIRLYKITS in the United Kingdom. A very rare, but important model of this historic aircraft.